AUSTIN, TEXAS (August 16, 2012) — According to the J.D. 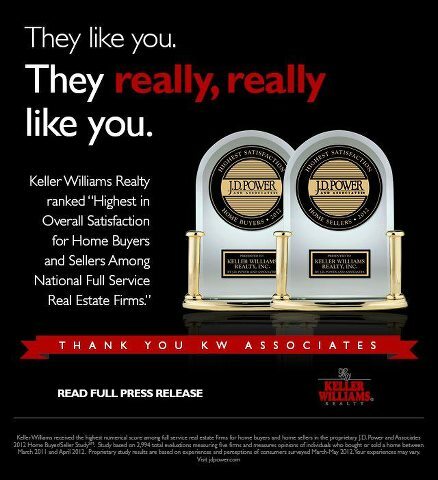 Power and Associates 2012 Home Buyer/Seller Satisfaction StudySM released yesterday, Keller Williams Realty, Inc. ranks highest in customer satisfaction in both the homebuyer and home seller segments. Keller Williams Realty, Inc. achieved the highest scores in all measured factors across both segments, receiving the highest JDPower.com Power Circle RatingSM among its competitors overall.